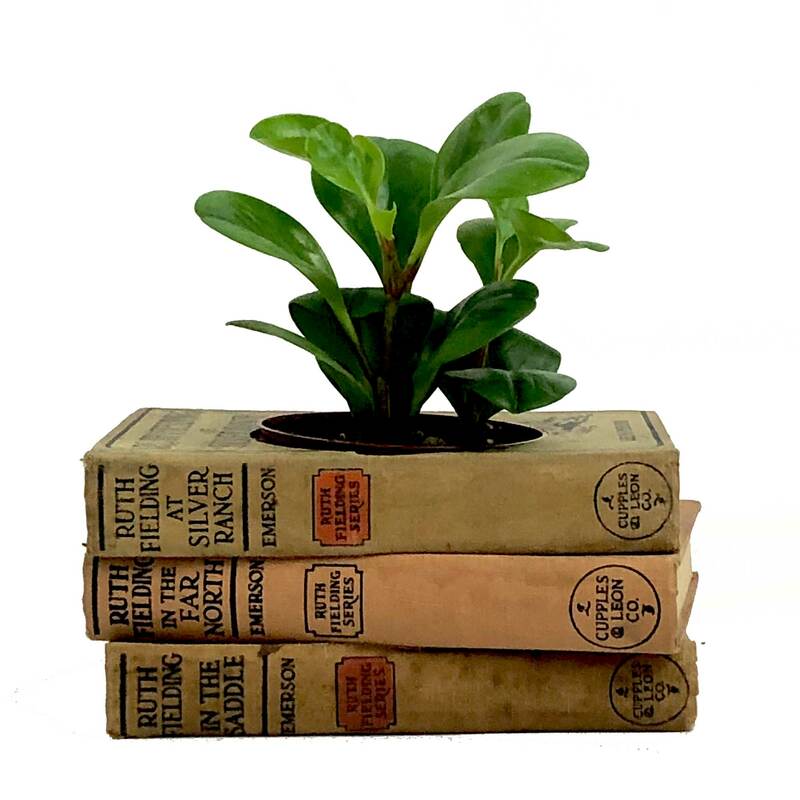 This vintage book planter fits in so many home interiors from shabby chic to rustic to vintage and more. Perfect for book lovers everywhere, it’s a wonderful home accent for any room. Enjoy both vintage looks and functionality in this beautiful home decor item. 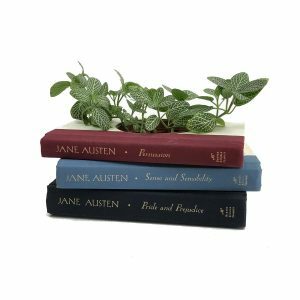 Whether you’re looking for unique interior home accents or versatile home accessories this lovely book planter is an amazing addition to your home decor. 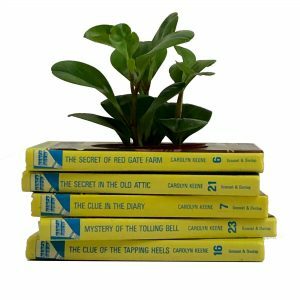 These vintage books show years of reading and enjoyment, now repurposed into a beautiful book planter. Fully functional and perfect for use and display in any room, the shabby chic appeal is sure to look amazing in any room from living room to library. Click here to view more affordable home accents. 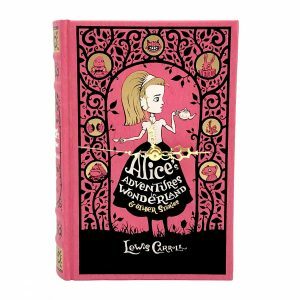 Features three vintage books from the Ruth Fielding girls’ adventure stories published in the early 1900’s by Alice B. Emerson. 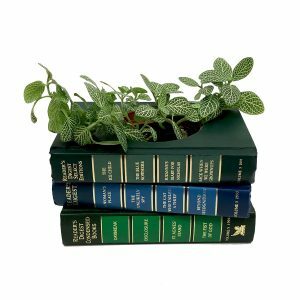 The book planter measures approximately 7-1/2″ x 5-1/2″ x 3-1/2” including the provided plastic pot.